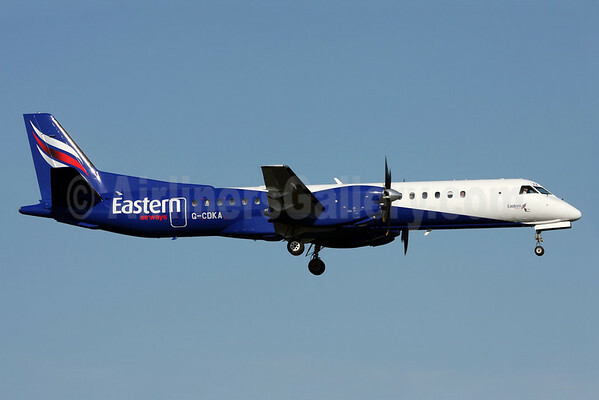 Eastern Airways (Humberside and Aberdeen) is expanding the size of its SAAB 2000 fleet to nine aircraft with the introduction of an extra aircraft. The regional airline, which provides a comprehensive domestic network of scheduled services, and is the UK’s leading provider of fixed wing air services for the oil and gas industry, will see the Saab 2000 entering service in the coming weeks. The Swedish manufactured 50-seater SAAB 2000 is one of the world’s fastest turbo-prop aircraft with its two Rolls Royce engines producing a cruising speed of 425 mph, and low fuel burn due to its efficiency. This latest addition will be assigned to its charter services operating for the oil and gas industry, which also includes the recently awarded major contract with BP flying between Aberdeen and Sumburgh in the Shetland Isles. SAAB 2000 aircraft were first introduced to Eastern Airways fleet in 2004 and the latest addition increases the fleet to nine. The airline is also the largest operator of British Aerospace Jetstream 41s in the world with a fleet of 18. The remainder of the fleet comprises of four regional jets, including two Embraer 135 and two Embraer 145 aircraft. 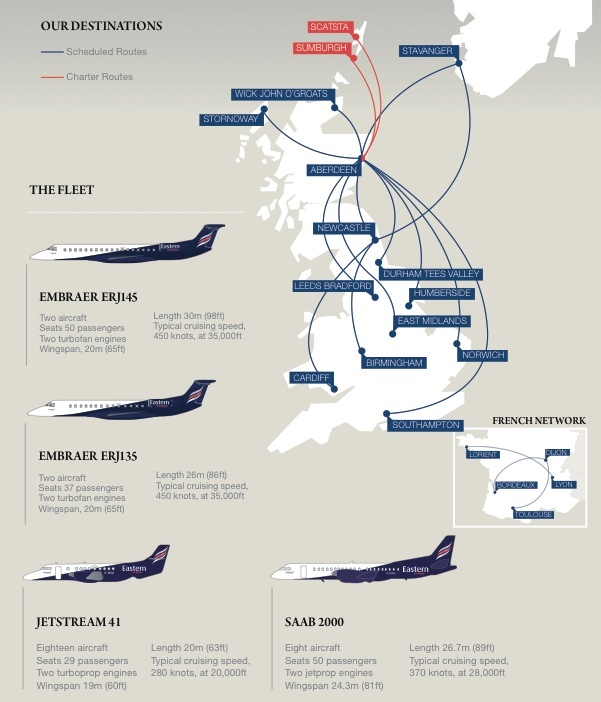 A network of services across to 20 airports in the UK, Norway and France is operated by the airline on a fleet of 31 regional aircraft (see route map below). In January 2014, the airline started a new scheduled service between Leeds Bradford and Southampton and also launched its third domestic route in France with flights between Lorient and Lyon. Copyright Photo: Ole Simon/AirlinersGallery.com. SAAB 2000 G-CDKA (msn 006) prepares to land in Stockholm (Arlanda). This entry was posted in Eastern Airways and tagged 006, 2000, Arlanda, ARN, Eastern Airways, G-CDKA, SAAB, SAAB 2000, Stockholm on March 13, 2014 by Bruce Drum.